An Uber-style platform to expedite home and auto claims appraisals has made its way into Canada. Offered by WeGoLook, the online and mobile sharing-economy platform provides personalized, onsite data capture for inspections and low-complexity services across the United States. Now in Canada, WeGoLook has built up a base of 3,000 “lookers” across Canada; of those, 600 are currently approved to work in the field immediately. 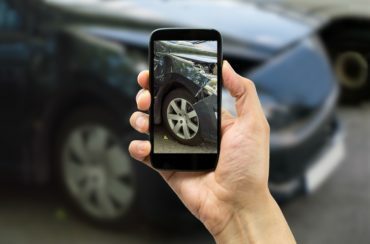 Very basically, WeGoLook dispatches approved “lookers” to take onsite pictures and collect data on auto and property claims damage. Photos and reports are then uploaded to desk claims appraisers and adjusters for review, allowing them to prepare damage estimates without necessarily having to be physically present at a site to collect the data. WeGoLook conducts Q&A of its lookers to make sure the pictures and data meet the clients’ requirements. Approved lookers are trained in the terminology required to take the right photos; they are also trained not to make judgments or discuss policy coverage with clients. Based on U.S. statistics, the sharing economy platform could potentially reduce claims appraisal cycle times to just under two days, down from the current average of four to five days. The platform is particularly effective in catastrophe situations, noted Kenneth Knoll, chief operating officer of WeGoLook. He spoke about the service Tuesday in an event organized in Toronto by Crawford & Company (Canada). In the United States, for example, during Hurricane Irma, damage inspections using the WeGoLook platform were averaging just under five days, whereas the insurance industry average was about a month. Crawford and WeGoLook have formally partnered together. Crawford created Crawford Innovative Ventures, LLC, which was formed to invest in strategic acquisitions and partnerships. WeGoLook is the first such acquisition. Technically, “lookers” could be anyone available and approved by WeGoLook to arrange to visit an inspection site and collect data (in the form of pictures and/or a report). In some situations, the lookers themselves may be appraisers or adjusters, or they could be professional photographers looking for some other source of income. Those who prove themselves to be reliable will be offered more work. In one U.S. example, WeGoLook received an order for a claims inspection from a client on Monday at 7:38 a.m. The policyholder was contacted on Tuesday at 1:08 p.m. A looker was allocated half an hour later (once contacted by WeGoLook to offer an assignment, lookers have a short timeframe in which to respond). The looker quickly scheduled an appointment to see the policyholder at 5:30 p.m. The looker submitted the data requested to WeGoLook at 8:45 p.m., and the Q&A of the looker was completed and data released to the client on Tuesday at 10:10 p.m.
From the time the policyholder was first contacted, the process took less than a day. An audience member attending the presentation queried whether “lookers” had any difficulty accessing the sites of some salvage yards to take pictures. Another audience member, a representative of Crawford’s appraisal management department, said that any difficulties encountered by the lookers were with salvage yards that had already been known for limiting access to appraisers. While WeGoLook does a lot of business in auto collision cases, it is versatile. It can be used to conduct inspections for a variety of different claims, including slip and falls, property damage, heavy equipment damage, catastrophe support, casualty claims and business interruption claims. It can also be used to asses the state of properties in advance of known, upcoming severe weather events (hurricanes, for example).